Regina Morales, President / CEO of the Central Fort Bend Chamber since November 2014 will present the Chamber's current and future developments. Morales has held numerous positions in the county to include Director of Economic Development for the City of Sugar Land, President / CEO of Katy Area EDC, Vice President of Development of the GBEDC and Economic Development Director for City of Rosenberg. 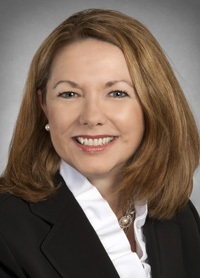 Her 19 years of experience in economic development in Texas have resulted in over 48 corporate relocations and expansion projects, creating over $1.45 billion in new capital investments and 4600 jobs in Fort Bend County. Join us for an informative luncheon.